The price of fuel imports dwindled by half. In 2016, Ukraine imported 10.9bn cu. m. of gas, or by 33.7%, or 5.5bn cu. m. m less than in the previous year, State Statistics Service reported on 21 February. 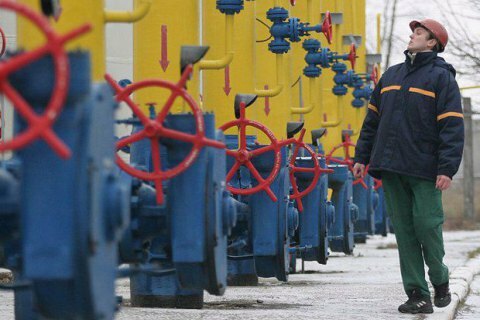 Ukraine last year spent $ 2.2bn on gas imports (the average price - 200.91 dollars/thousand cu. m.), a twofold economy over 4.5bn dollars in 2015. All gas in 2016 was imported from Europe. Most of the fuel was imported from suppliers in Switzerland - 3.2bn cu. m. m worth $ 654.806mn (average price - 203.6 dollars/thousand cu. m.). Ukraine imported 2.5bn cu. m. for 507mn dollars from Germany (the average price of 199.2 dollars/thousand cu. m.), from France - 2bn cu. m. worth $ 397mn (average price - 199.3 dollars/thousand cu. m.). Other contractors include the UK, Poland, Italy, Austria etc. Ukraine has not bought gas from Russia since 25 November 2015.